The LinkedIn profile summary provides 2000 characters which must have a snappy introduction of your career progress and your skill set. Generally, keep the summary within 3-5 paragraphs to tell your success story, what fascinates you in a particular industry, and what you are looking for. And when you are writing the summary ensure that you are using the first person ‘I’ instead of using the third person ‘he’ or ‘she.’ People don’t give more time reading long dense paragraphs so it is better to stick to bullet points to make it look easier for the readers. Before publishing, make sure that there is no grammatical error and ensure that they are up to date always. Without the right connection it is difficult to get a job or start a business. First step, get connected with all the known people: colleagues, supervisors, classmates, professors and friends. The possibility of more profile visits happens when you get more connections related to your profession. Second step, endorse your friends and colleagues for the skills they have, and they will endorse you back out of courtesy. Also, you can ask your immediate head or professor to write recommendation which will boost your credibility. Most importantly, LinkedIn provides you with an option to connect with people in your professional circle. When sending an unknown person of the same professional circle you can write a note and send him. But be precise as LinkedIn is providing you with only 300 characters text message. LinkedIn provides you with a subtle way to get to know more about the company you want to apply for. The only thing one has to do is to go to their page and click on the employees and start getting connected with them. Sometimes, these contacts become your recommenders when you sit for an interview. By making connections, you can understand the responsibilities of the job, and also get to know about the minimum qualification for the job. Connecting with the alumnus of your institute is the perfect way to get knowledge about the particular industry and expanding your network. You can go to your institute’s page and search for alumni. You can get connected with them and also know which organisation they are working for. Some of these alumni can help you know if there is an opening and give you contact details of HR in their organisation. In LinkedIn, you can type the particular industry and search it. You will get numerous connections related to the search but there is an option to change the filter to group. By this, you can get to know about the number of groups in the particular industry. If you get into these groups, you get introduced to numerous contacts which can be your 3rd connections and these groups give you an option to start conversation with them. But, you can send only 15 messages per month through LinkedIn. 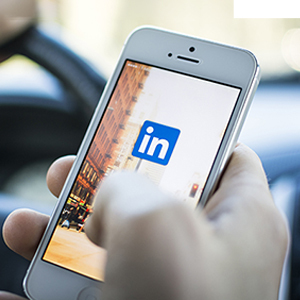 LinkedIn is a professional social networking site by which one creates a profile to advertise his expertise in the specified industry to the recruiters. So keeping profile visible makes your profile viewed by many recruiters. It is not a sin to visit profiles of people from the similar profession. When you visit one’s profile they intend to visit your profile out of curiosity. This plays a positive impact on your profiles performance. You can also write articles and publish them in LinkedIn to increase your visibility.